L. Catherine Brinson, an internationally recognized expert in soft matter, has been appointed as the next chair of Duke University’s Department of Mechanical Engineering and Materials Science (MEMS). She will begin her term on June 1, 2019. Brinson, who joined Duke in 2017 as the Sharon C. and Harold L. Yoh, III Professor in MEMS, brings extensive experience in academic leadership to her new role, including service as associate dean for academic and professional initiatives in engineering and as department chair of mechanical engineering at Northwestern University. Brinson’s research combines computational models, data science and physical experiments to lay the groundwork for developing new materials for applications ranging from cell phones to biomedical devices. She has won numerous awards, including the ASME Nadai Medal and the Humboldt Foundation Friedrich Wilhelm Bessel Prize, and is currently the PI of the NanoMetaMine project, a $5-million NSF-funded national consortium focused on building a data-driven framework for discovery of new polymer nanocomposites and structural metamaterials. Prior to joining Duke, she served as associate dean for academic and professional initiatives at Northwestern University’s McCormick School of Engineering, where she coordinated development and promotion of a diverse array of research centers and consolidated leadership of eight professional master’s programs. She previously served for six years as chair of Northwestern’s Department of Mechanical Engineering, where she led the department through growth in faculty and research expenditures, started a now flourishing departmental master’s program, promoted design curriculum across the school, and led development for the first endowed lecture in the ME department. Over the past four years, Duke MEMS has hired nine outstanding new faculty (more than half of them female), contributing to its teaching and research excellence, particularly in the areas of designed and soft materials. Meanwhile, applications to the Duke MEMS PhD program have soared from 178 to 304, with nearly a 50% increase in students matriculating, while the number of master’s students matriculating has grown by nearly fourfold to a record 44 this year. The department has also risen in the national U.S.News & World Report rankings, currently ranking in the top 25 in the country in mechanical engineering. 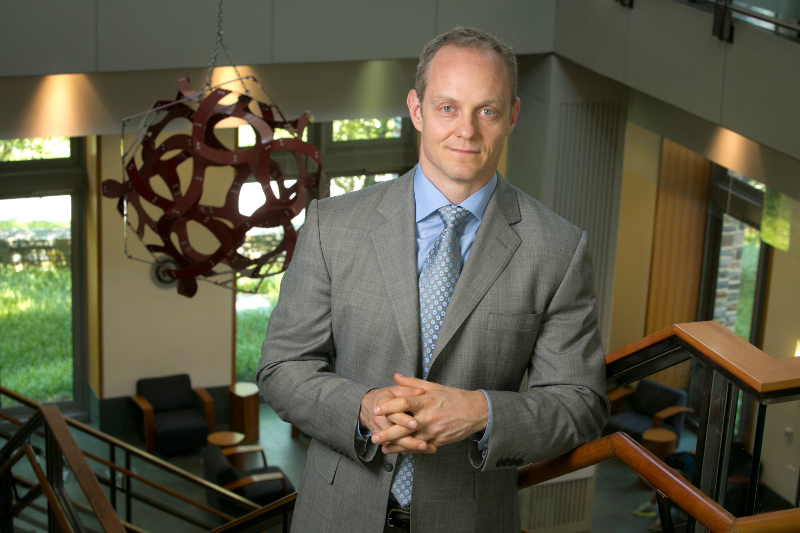 As associate director for MEDx (Medicine and Engineering at Duke), a role in which he which he will continue, Gall helped forge new ties between Duke MEMS and the School of Medicine. He has also played an active role in working with undergraduates, including mentoring several dozen undergraduate research assistants, serving as an instructor for Pratt’s new First-Year Design course, mentoring groups in senior design, and teaching the sophomore-level Introduction to Materials course. To learn more about education and research in Duke MEMS, visit mems.duke.edu.